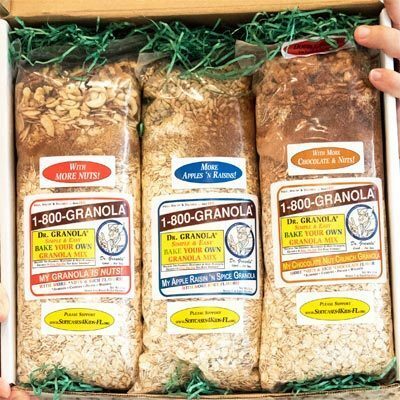 1800Granola | Dr. GRANOLA® Simple & Easy Bake Your Own Granola Mix Gift Sampler. All 3 Flavors. 5% OFF & *FREE SHIPPING! 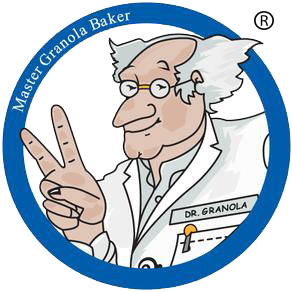 Dr. Granola® – GOOD … FOR YOU! THIS GIFT SAMPLER (3-2 lb BAGS) PRODUCES 9 LBS OF GRANOLA AFTER BAKING. Get A ‘Baked On Date’ – Not An ‘Expiration’ Date! Personal Greeting … At NO Extra Charge! 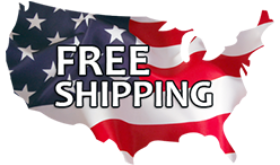 *FREE SHIPPING TERMS & CONDITIONS (all apply) – 1) FREE Shipping on orders $49.00 & over. $9.95 flat rate shipping charges on orders under $49.00. 2) For orders shipped within the ‘lower 48’ contiguous United States. Excluding Alaska and Hawaii. 3) Standard ground service. 4) Express overnight, next day and shipping services to all other areas are available at extra cost. Please call for price quotes, details & information: 1-800-GRANOLA® (800-472-6652).